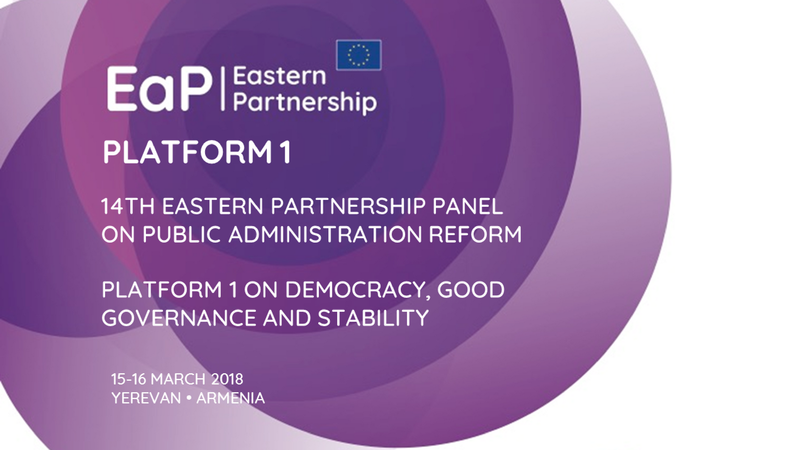 On 15-16 March 2018, Yerevan (Armenia) held the 14th Eastern Partnership Panel on Governance and Public Administration Reform (PAR), under the multilateral Platform on Strengthening Institutions and Good Governance. The thematic focus for the meeting was strategic planning, in line with ongoing approaches of discussing all core areas of PAR, which are also part of the 20 Deliverables for 2020 adopted at the Eastern Partnership Summit of November 2017. The Eastern Partnership Civil Society Forum was represented by Tiko Tkeshelashvili, from Caucasus Institute for Peace, Democracy and Development (Georgia) and Abraham Artashesyan, from Communities Finance Officers Association (Armenia). They shared their expertise on PAR implementation in Georgia and Armenia, respectively. 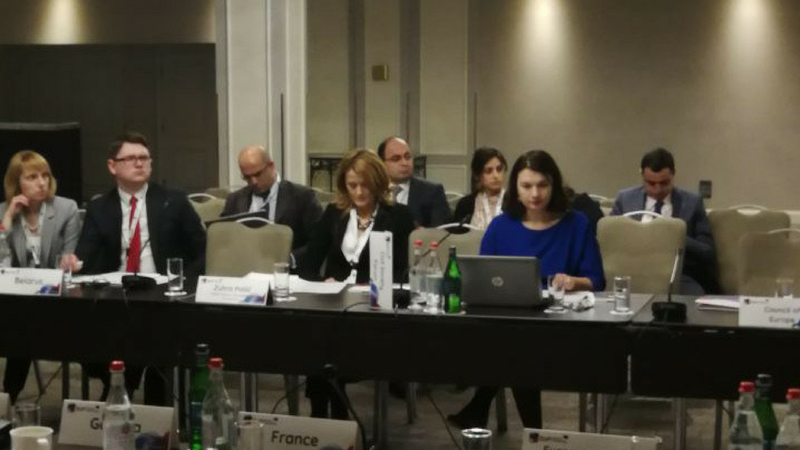 Ms Tkeshelashvili advocated for an increased involvement of CSO in the monitoring and evaluation process in Georgia. She also discussed about the need for a more holistic approach to PAR and enhanced coordination between the implementing agencies and CSOs. On the other hand, Mr Artashesyan addressed the factors influencing PAR implementation in Armenia, such as the Constitutional changes in 2015 from a mixed to a parliamentary system, and the signature of the Comprehensive and Enhanced Partnership Agreement (CEPA) between the European Union and Armenia. He also underlined the potential of the EaP CSF for further engaging civil society in the implementation process.